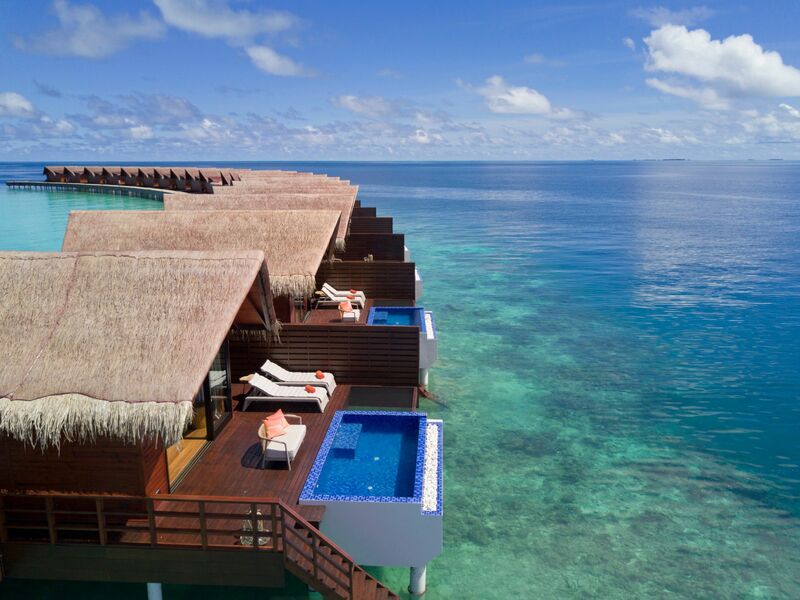 Much is known about Maldives; a coveted holiday destination renowned for its pristine beaches and stunning scenery. It is also one of the places where time seems to stand still while you get busy with doing everything, or nothing. Experience paradise on earth at Grand Park Kodhipparu, Park Hotel Group's first luxury resort and your exclusive address in beautiful Maldives. Designed by award-winning hospitality firm, Hirsch Bedner Associates, this one-island-one-resort destination invites you into an oasis of tranquillity with its collection of beach and water villas, dining venues and recreational spaces. More than just a destination for couples and honeymooners, our location in the North Male Atoll makes for many enthralling underwater experiences with renowned snorkelling and diving sites including wreck sites just nearby. The resort is also family-friendly with a wide array of children's facilities including a kids club and kids activities. Designed by world-renowned hospitality firm, Hirsch Bedner Associates, the resort showcases sophisticated architecture, state-of-the-art interior and high ceiling of palm fringed roof. Contemporary exterior with Maldives’ traditional influence of wood and rattan, inventive rustic appeal and inviting peaceful atmosphere. Neutral tones, natural fundamentals and spacious social settings balances the unrivalled beauty of the cobalt sea and tranquility. Comprising close to 1,200 islands spanning across the Indian Ocean, Maldives is a dream destination for many with most international airlines flying into the Velana International Airport. Grand Park Kodhipparu is located on the island of Kodhipparu in North Male Atoll famous for its dive sites and abundant marine life. The resort is also just a 20-minute speedboat ride from the airport allowing you to save time on seaplane transfers so that you get to paradise in double-quick time.